An interactive poster was set up near a crossroads in Shangai. 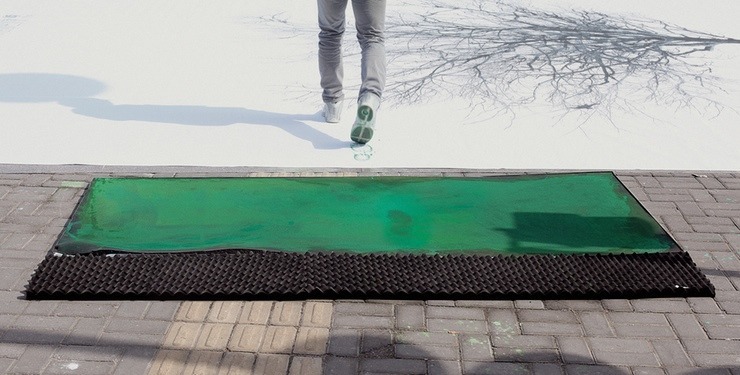 People, walking on sponges soaked in green environmentally friendly, washable, quick drying paint, created the leaves of the tree. authors: China Environmental Protection Foundation (CEPF), in collaboration with DDB China Group, created an interactive poster to encourage people to walk rather than drive. 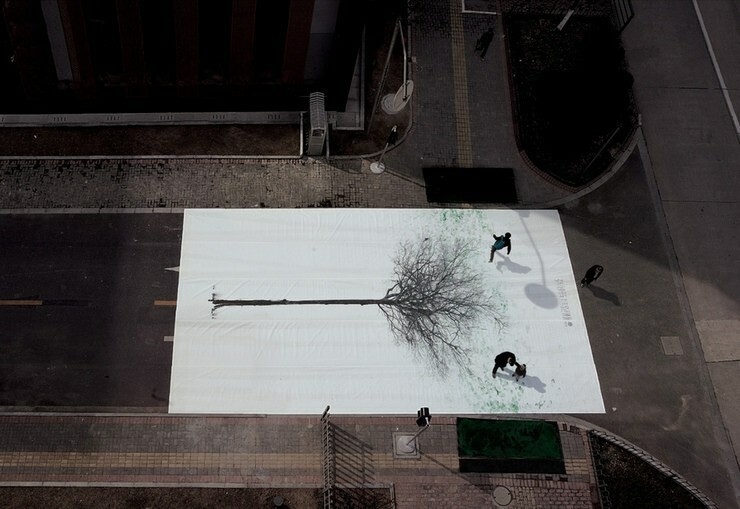 With the piece, pedestrians became artists that produced footprint “leaves” on a giant canvas across a 12.6 x 7 meter canvas. 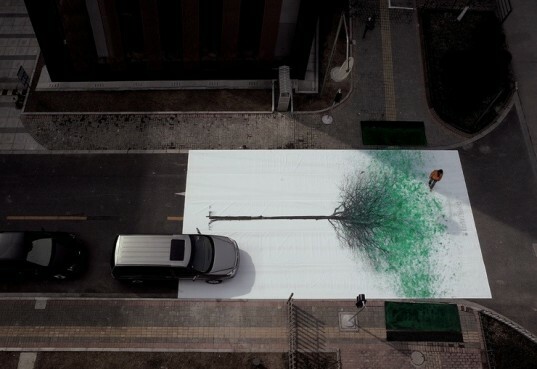 The spectacular work was spread across a busy intersection in Shanghai.